one (1) piece of standard sized baggage will be free for each adult. all other additional pieces of baggage can be accepted for a charge of $20. Bicycles are allowed, but prior reservation is a must due to limited space availability. 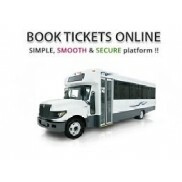 It is the passenger responsibility and choice to travel with a bicycle, our buses equipped with universal bike rack that is approved by Transport Canada and would accommodate most bikes. Using/mounting/securing bike(s) on our bus rack is upon sole discretion of the passenger. We are not responsible for any damages that may happen. Bicycles fall into the baggage category. Each bike will be charged $20/piece. 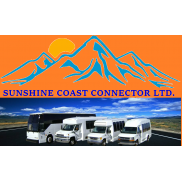 Sunshine Coast Connector Ltd. assumes no liability for injuries, or for damage to bikes or personal property, while using bike racks. 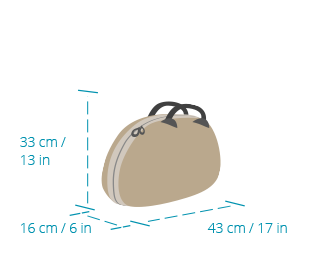 Standard sized baggage must not exceed 158 centimeters when adding the total exterior dimensions of the (length + height + width). Any Bags exceeding the 158 cm. (62 inch) limit will be assessed oversized baggage charges. The "no charge" allowance for standard sized baggage is restricted to 23 kilograms (50 pounds) per bag. Baggage exceeding fifty (50) pounds per bag will be subject to overweight baggage charges. Additional fee of $20/piece. bicycles and 2nd, 3rd, 4th extra luggage small or large is $20/piece. In general, acceptable baggage includes suitcases, bicycles, duffle bags, toolboxes regular sizes, backpacks and securely tied cardboard boxes. The "no fee" allowance for baggage is restricted to standard sized baggage weighing fifty (50) pounds or less. Baggage between 50 and 75 pounds are subject to the charge of $20/piece. Bicycles are not standard sized baggage, an additional $20 will be charged. 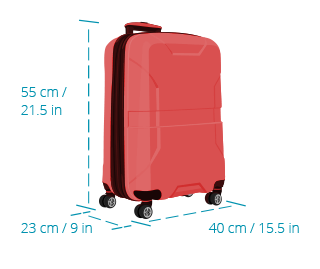 The "no fee" allowance for baggage is restricted to standard sized baggage that does not exceed 158 centimeters (62 inches) when adding the total exterior dimensions of the (length + height + width). Any Bags exceeding the 158 cm. (62 inch) limit will be charged $20/piece. The oversized surcharge for skis and ski poles, assuming they are packed in an appropriate canvas or hardcover container are subject to the maximum charge of $20 regardless of the distance traveled.